That is the promise that we make to every customer that entrusts their smog testing services to our company. At A & G Smog, we are committed to providing you with thorough and accurate smog testing services for regular vehicles as well as diesel operated vehicle. We have the latest and greatest in tools and equipment for performing smog test that will pinpoint problems within your vehicle that may be preventing it from being registered to operate on California roadways. The technicians that you will find at A & G Smog take the time to provide you with an easy to understand diagnostic report on the smog tests you entrust to them. These reports can be used by professional repair shops throughout Santa Rosa and surrounding California communities. Having access to these reports before visiting a repair shop can provide you with a lot of protection against expensive repairs that are not necessary for your vehicle. 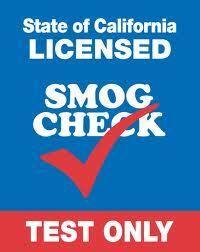 At A & G Smog, we are state certified and licensed to perform all types of smog tests. While we do not perform repairs here, we are more than happy to help locate a reputable repair facility within the Santa Rosa or surrounding area. We make every effort to provide our customers with honest services within a fast timeframe and at affordable prices. A & G Smog understands that people throughout Santa Rosa lead busy lives. That is why our service center offers all customers fast inspection services. We do provide you with comfortable waiting rooms and will perform most emergency inspections within 30 minutes or less while you wait. If you are unable to stick around, we do allow our customers the convenience of dropping off your vehicle and picking it up later in the day.